You may be asking, Where have they been? That's a fair question. England's Shadowkeep has been missing in action, at least from the studio, for nearly ten years when they released The Hourglass Effect. They return with fourth long player, simply self-titled, and with another change at the microphone. 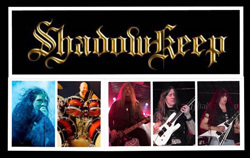 American power metal vocalist James Rivera (Helstar) becomes Shadowkeep's third vocalist, replacing Ritchie Wicks. 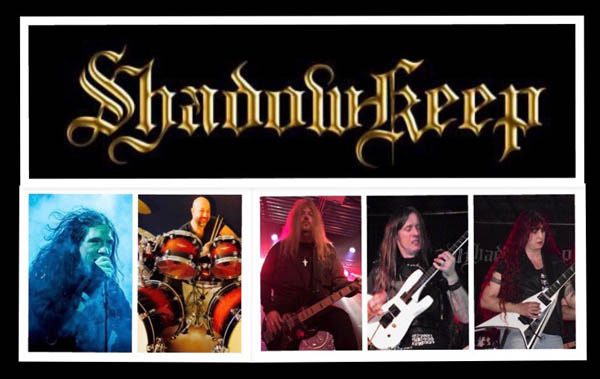 Formed by guitarists Chris Allen and Nicki Robson, it's safe to call Shadowkeep a guitar-centered heavy power metal band in the best tradition. The life of every song revolves around twin guitar harmony, quickly followed by an abundance of thrilling guitar solos. Drop in a galloping rhythm section for power and groove and the power metal motif is made complete. But it's still all about the guitars. While I've never been a fan of Helstar, Rivera seems to fit the current Shadowkeep sound, even if he is crushed in the mix. But this begs the question. How important are the lyrics and their vocal presentation, if they're nearly obliterated in the mix. Both seem something like an afterthought in a Shadowkeep song. Nevertheless, with the previous singer Wicks, Shadowkeep was going for a Halford-type style. That remains with Rivera who is often compared to the iconic metal god. Fundamentally, and as mentioned earlier, Shadowkeep and this album is driven by the strength of Chris Allen and Nicki Robson's twin guitar power. If you love an abundance of harmonious riffage and killer solos, you'll dig this album. Recommended. Song picks: Atlantis, Immortal Drifter, Flight Across The Sand, and the instrumental The Sword Of Damocles. Fundamentally, Shadowkeep and this album is driven by the strength of Chris Allen and Nicki Robson's twin guitar power. If you love an abundance of harmonious riffage and killer solos, you'll dig this album. Recommended.